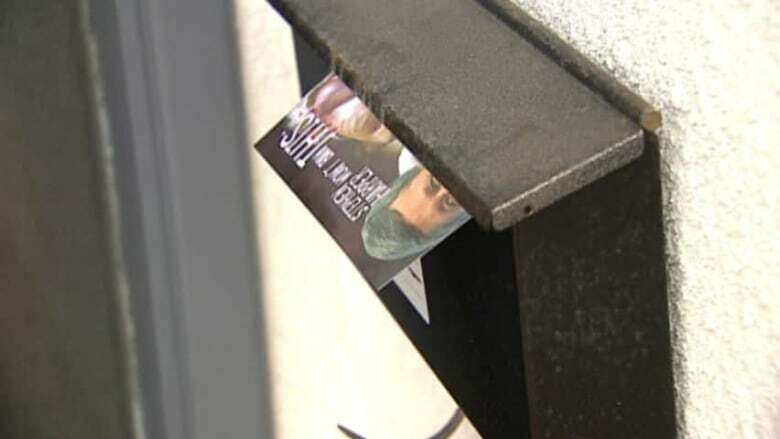 An anti-abortion group has started distributing graphic postcards in northwest Calgary as part of its campaign to reopen the debate on abortion. The Canadian Centre for Bio-ethical Reform is depositing 50,000 postcards in the Calgary Centre-North riding which is represented by MP Michelle Rempel. Stephanie Gray, who represents the centre, says the organization is opposed to MPs who voted against a motion to study when life begins. "She is a leader of this country and in fact she was recently awarded one of Canada's top 100 most powerful women, so what is a powerful woman doing by failing the most powerless children in Canada," said Gray. Michelle Rempel says her leader and party have agreed not to reopen this debate. "I think our party's been very clear on our stance on this issue." Melanee Thomas, an associate political science professor at the University of Calgary, questions the organization's tactics. "One has to ask themselves why not actually use the law and the legal precedent as it's been written instead of sending really quite graphic postcards to thousands of households." "Part of it is to try to convert the young to a very particular way of seeing this issue, one that is, I ought to say, not legally balanced and not constitutionally balanced with the way that we have the Charter set up in Canada." Rempel is one of five parliamentarians the organization plans to target. It started its postcard campaign in Prime Minister Stephen Harper's riding last week.